Jamaica gained its independence and joined the Commonwealth in 1962. The offices, residence and some staff housing of the high commission in Kingston are all within a green and historic twelve-acre park. 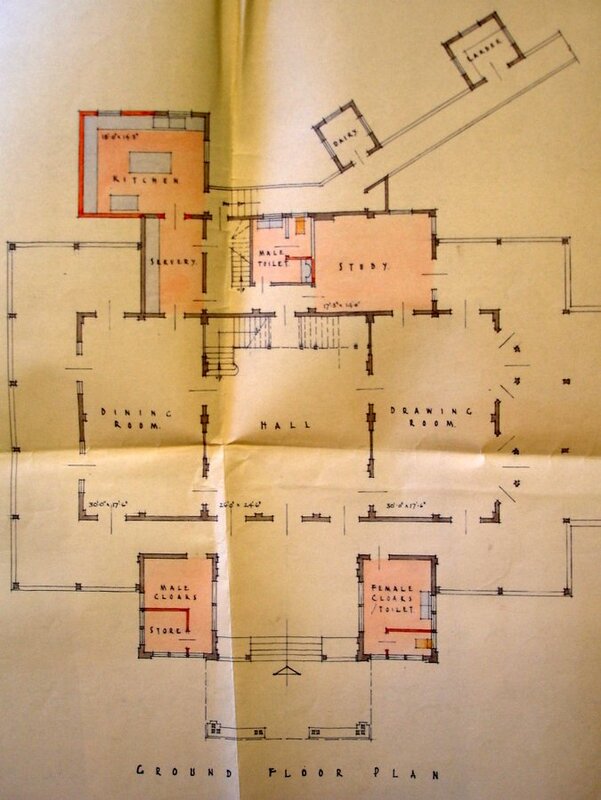 The first house in the park was built by Benjamin Marriott Perkins at the beginning of the nineteenth century: a brick villa with a shingle roof, somewhat Regency in appearance, planned with all the main reception area and bedrooms on the first floor, with coaches, stores and ancillary functions below. It had no terraces or verandas and must have been exceedingly hot. The owner in 1895, Catherine McDowell, sold the house and its 56 surrounding acres, by now known as Trafalgar Park, to the British Secretary of State for War for £4,000. The original house was destroyed by the uncontrollable fires that devastated Kingston after the great earthquake of January 1907. 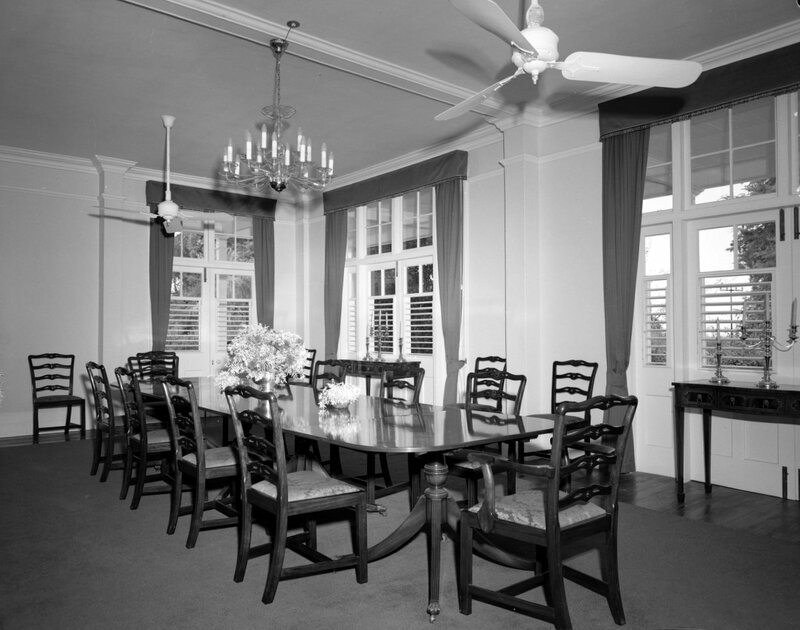 It was rebuilt in concrete on the same site by the Jamaica Defence Force in 1911-12 with the reception rooms on the ground floor, deep verandas on both floors and a double height interior hall: it was now fit for the climate. 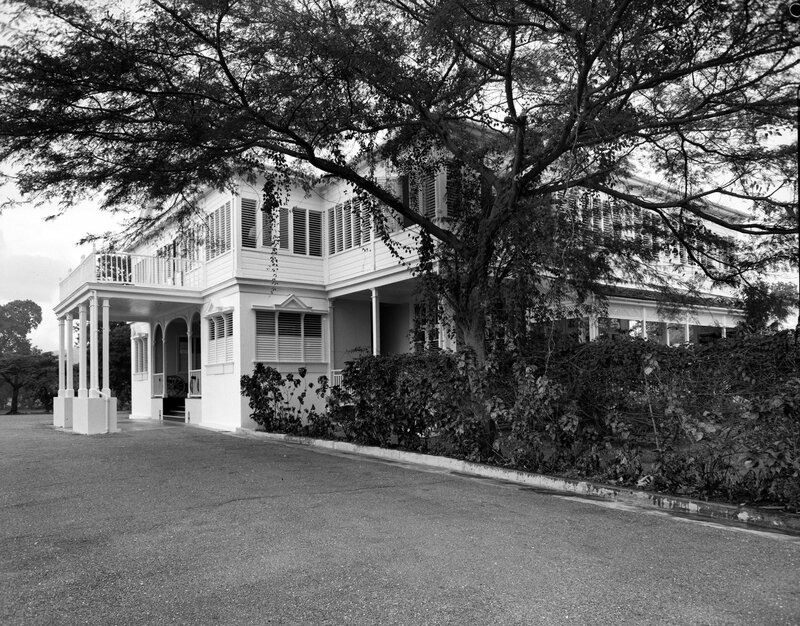 Until Jamaica’s independence in 1962, the house was the residence of the senior British army officer on the island, and later in the whole of the Caribbean, and was formally known as Flagstaff House. 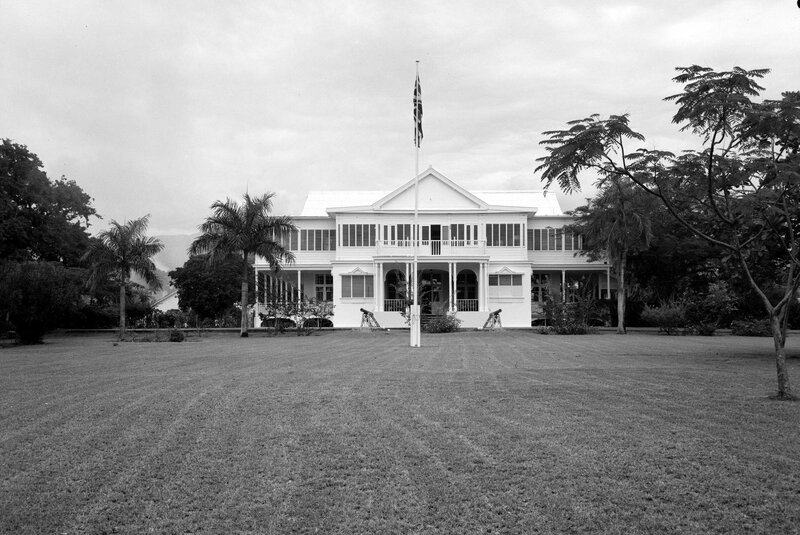 The War Office in 1957 sold most of the land at Trafalgar Park to the Jamaican government for housing, retaining twelve acres around the house. 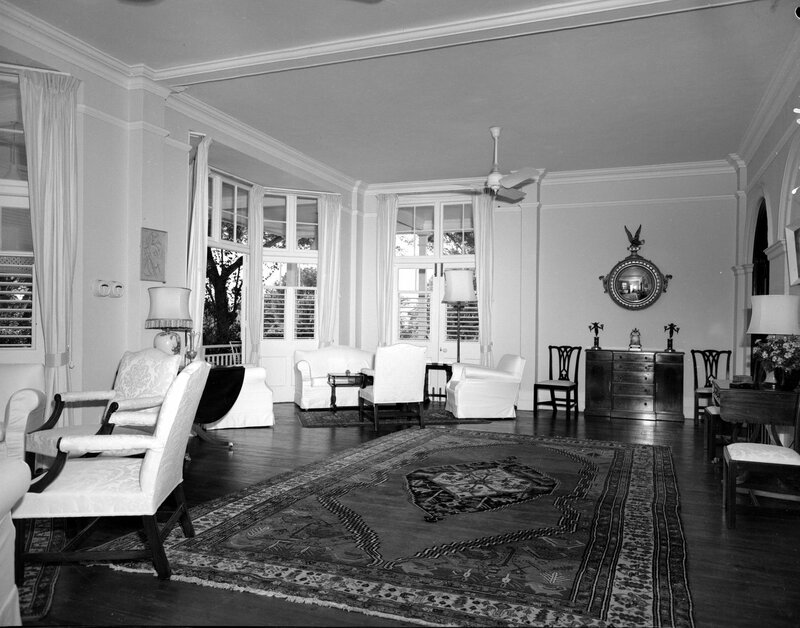 In 1963, just after independence, the property was transferred to the Ministry of Works to become, after some ingoing works, the residence of Britain’s high commissioner. The house’s name was changed to Trafalgar House in 1973. In 1987, the Jamaica National Heritage Trust presented the high commission with a plaque in recognition of the high standard to which Trafalgar House was maintained. 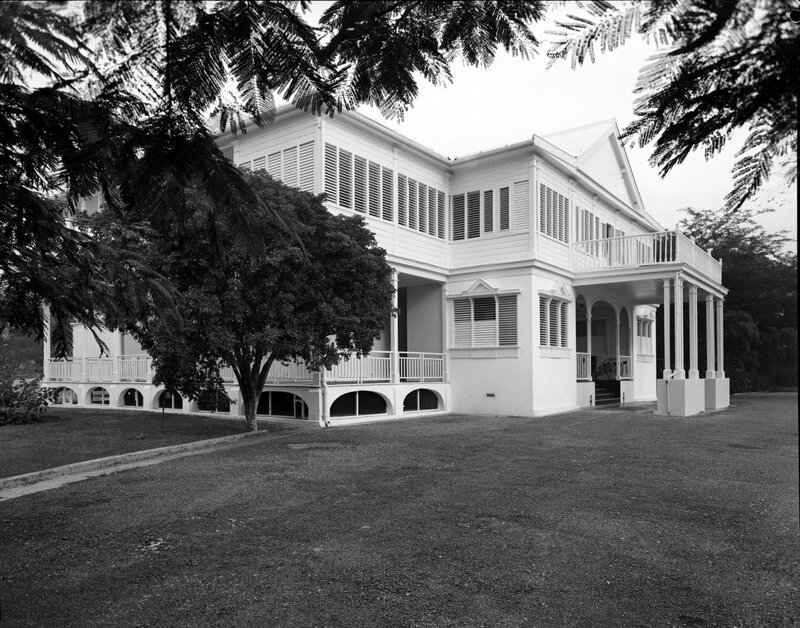 In the 1980s, seven staff houses were built in the high commission grounds. The first high commission offices after independence were leased, pending fruition of an intention to build new offices on a three acre site on Tom Redcam Avenue. The War Office had transferred this site, (together with three married quarters (Nos. 2, 3 and 13) at nearby Up Park Camp) in 1963 to the Ministry of Works. The Tom Redcam site was subsequently exchanged with another site on Arthur Wint Drive, but it was decided in 1967 that the best place to build new offices would be in the grounds of Trafalgar House. 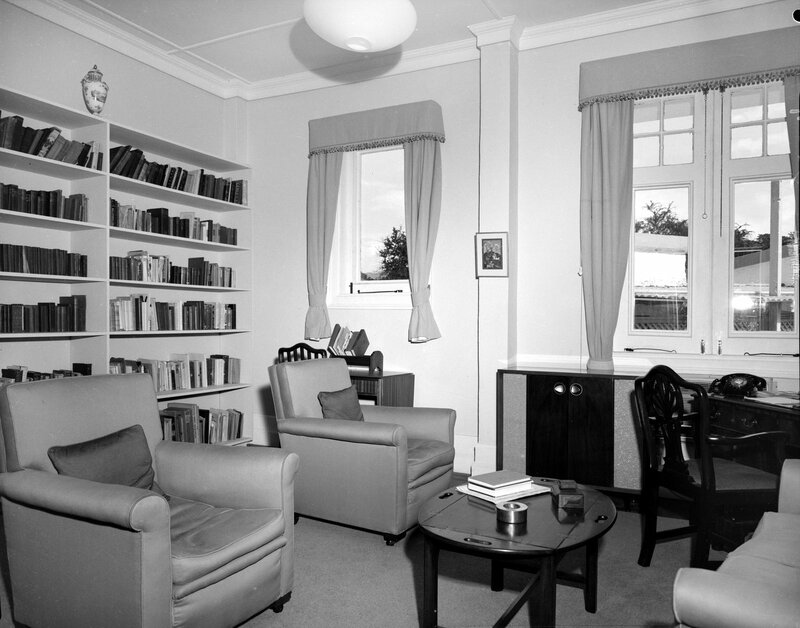 The building was designed in-house by Norman Isham in the Property Services Agency, with Frank Cooper the project architect. It was on two storeys, slightly raised by a semi-basement floor of carparking, on a hollow square plan, with the first floor over-sailing the ground floor around the outer perimeter. The building was completed in December 1976 at a cost of about £1.5 million. 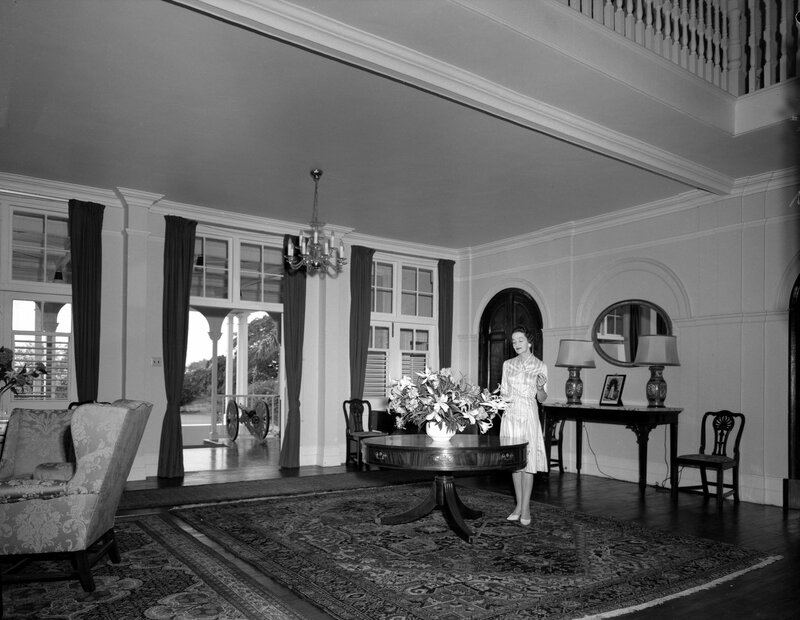 A more detailed description of Trafalgar House, by Jane Reid, who was its mistress 1984-7, is to be found in Jamaica Journal, Vol. 18 No. 2, May 1985. Trafalgar House main front, from south-east, 1962. Approach and entrance, from the east, 1962. 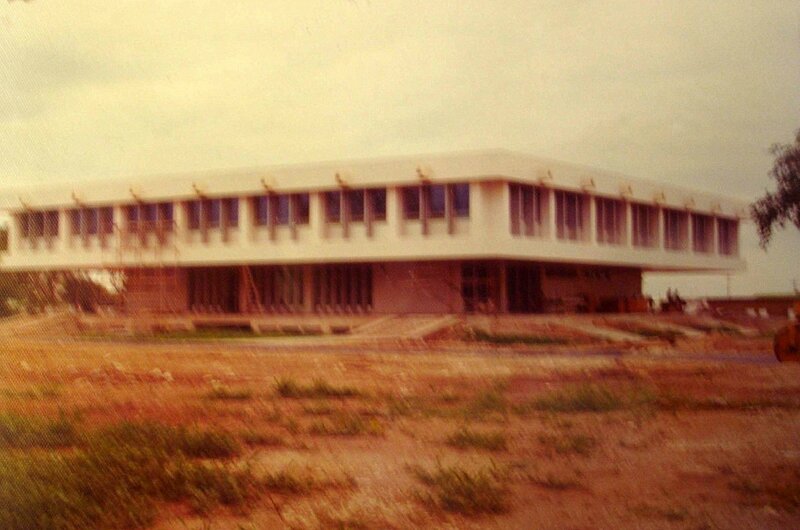 The offices, in the grounds of Trafalgar House, nearing completion in 1976. Main front , from the south, 1962. 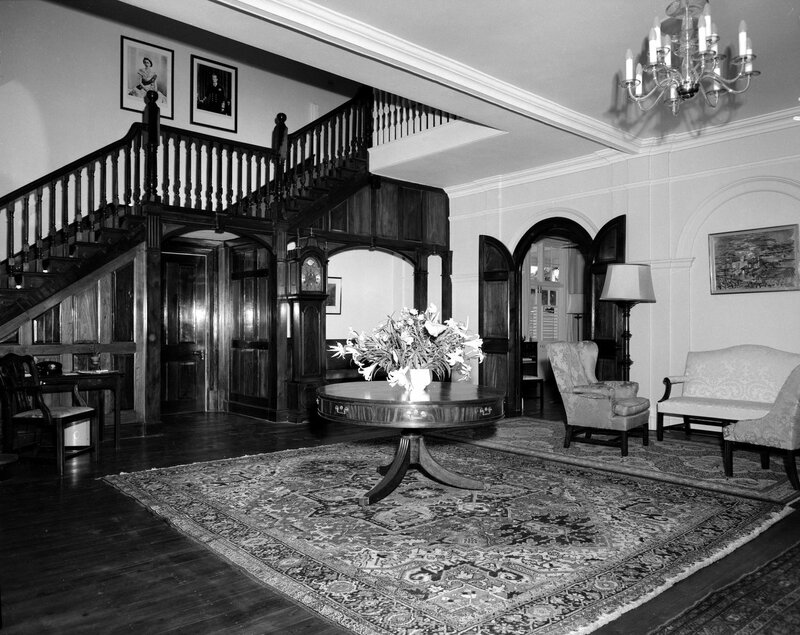 The hall, upon entering, 1962. 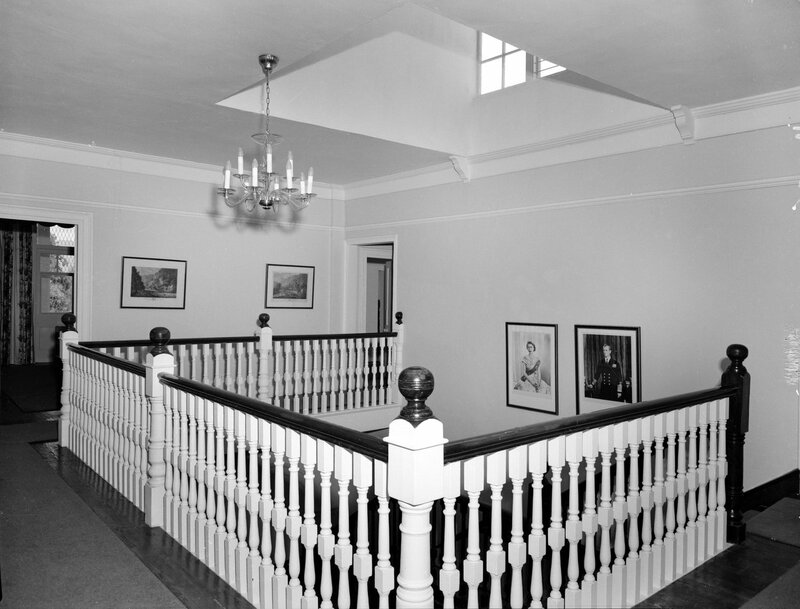 The hall, looking towards the entrance, 1962. 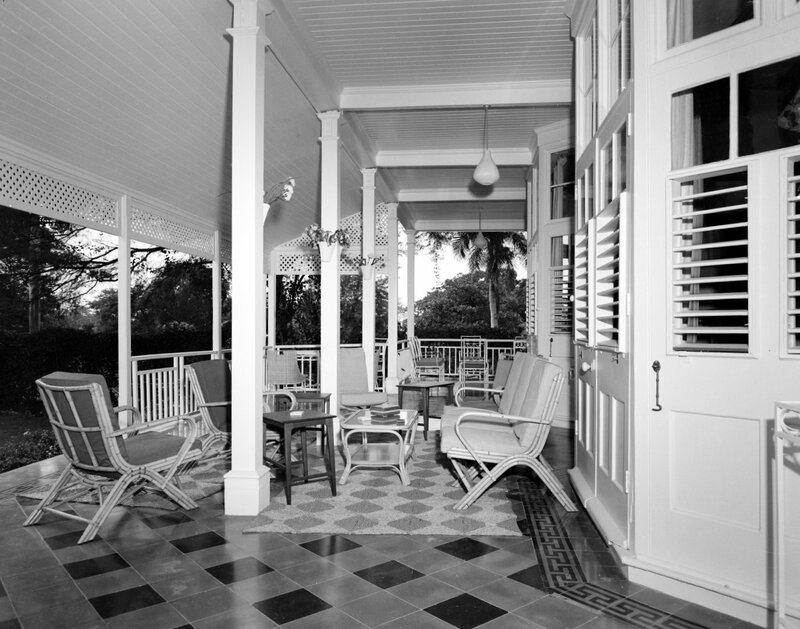 The terrace, outside the drawing room, 1962.